Saudi Arabia has announced it will seek the death penalty against five suspects over the killing of Washington Post columnist Jamal Khashoggi. The killing has seen members of Crown Prince Mohammed bin Salman’s entourage implicated in the writer’s death. Prosecutors said 11 suspects attended their first court hearing with lawyers, but the statement did not name those in court. It also did not explain why seven other suspects arrested over the October 2 killing at the Saudi consulate in Istanbul, Turkey, did not immediately face formal charges. The kingdom previously announced 18 people had been arrested. The killing of Mr Khashoggi, who wrote columns critical of Prince Mohammed, has strained the decades-long ties the kingdom enjoys with the United States. It has also added to a renewed international push to end the Saudi-led war in Yemen. The state-run Saudi Press Agency and state television gave few details about the hearing. “The Public Prosecutor demanded imposing proper punishments against the defendants and is seeking capital punishment for five of the defendants for their direct involvement in the murder,” a statement from prosecutors said. The suspects requested copies of the indictments they faced and asked for more time to prepare for their case, prosecutors said. While vague on details about the case, prosecutors made a point to express concerns about Turkey. They alleged that Turkish officials did not answer two formal requests made for evidence in the case. “To date, the Saudi Public Prosecutor has not received any response, and the Public Prosecution is still awaiting their response,” the statement said. Turkish officials have previously said they shared evidence with Saudi Arabia and other nations over Mr Khashoggi’s killing. Turkey has also demanded Saudi Arabia extradite those 18 suspects to be tried there for Mr Khashoggi’s killing. Turkish security officials have kept up a slow leak of videos, photographs and morbid details surrounding Mr Khashoggi’s killing to pressure the kingdom, as the two US-allied countries vie for influence over the wider Middle East. Turkish media have published photographs of members of the crown prince’s entourage at the consulate in Istanbul ahead of the killing. Mr Khashoggi’s body, believed to have been dismembered after his killing, has yet to be found. 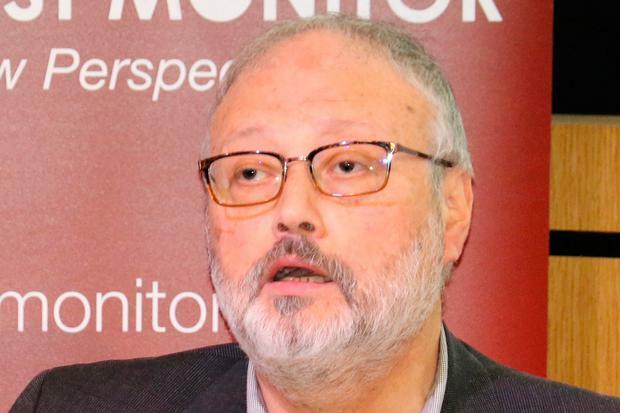 The 59-year-old entered the consulate on October 2 as his fiancee waited outside, but a team of Saudi officials had flown in before his arrival and laid in wait for him. Saudi Arabia denied for weeks that Mr Khashoggi had been killed but later changed its story and ultimately acknowledged the brutal killing. King Salman ordered the restructuring of the country’s intelligence service, but has so far shielded Prince Mohammed, his 33-year-old son who is next in line to the throne in the oil giant kingdom.